Despite mandates for employees to complete security awareness training and spending a significant portion of their security budgets on modern endpoint protection tools, total endpoint security still remains elusive. To help clients address this common concern, Optiv security experts assess endpoint vulnerabilities throughout the attack lifecycle to reveal how a malicious actor could gain access to the system, install malware, establish persistence, escalate privileges, and exfiltrate data. 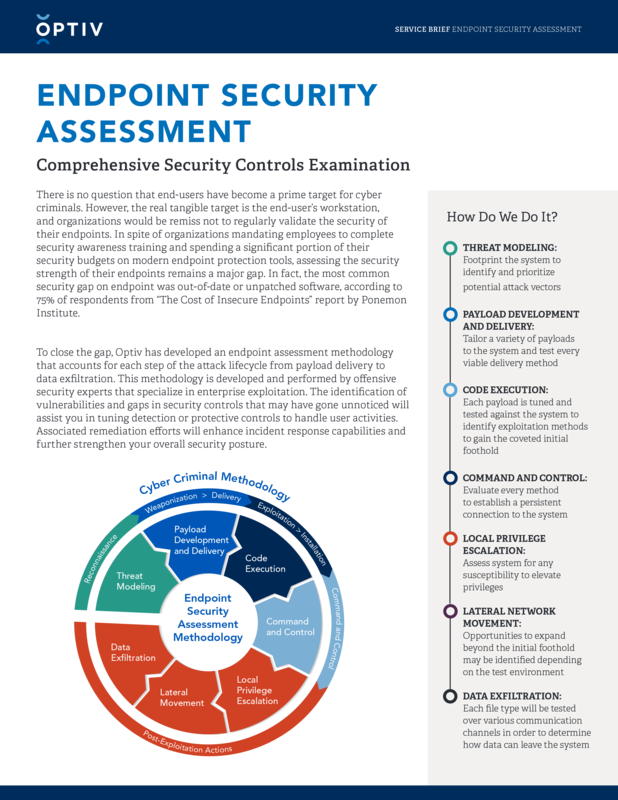 This service will help ensure your endpoint security solution is working effectively.